Spring calls for a fresh look, but the last thing you want to do is end up looking like a baby chick or pastel Easter advertisement. Pastel and other light colours may be traditionally associated with spring, but you need something a little more sassy to break into warmer weather. These hair colour suggestions are fun for spring break and wearable all season long. The top trend in hair colour this spring is subtle, natural tones. There are several ways you can pull off this look. Sandy coloured hair works especially well for medium skin tones, creating a somewhat monochromatic look between hair and skin. The sandy color gives beachy casual vibes. Another way to achieve a more casual spring time look with your colouring is subtle highlights. Rather than going with big bold platinum chunks in your hair, stick with a colour that’s only a few shades lighter than your natural colour (yes, even if your hair is very dark). And have the colour applied in babylights or just have your stylist fame the face, natural part, and ends. These understated highlights look quite natural and are easy to keep up. Feel free to share these suggestions from our Toronto hair salon with your friends. If subtle is not your thing, there is a big trend for spring that goes against the usual bright platinum blonde. 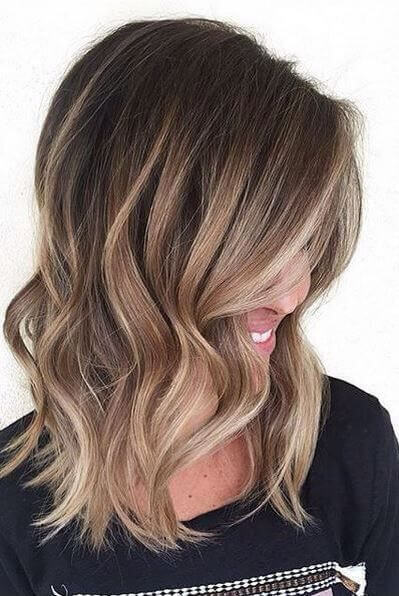 Rather than going lighter as warm weather approaches, opt instead for a rich brown or chocolate tone. The great thing about this trend is that deep browns complement almost any skin tone. Instead of competing with spring’s bright colours, dark brown hair creates a classic look that will draw attention. It is bold while remaining wearable for any occasion. Talk to our team of professional stylists at Hairafter Salon to get the colour that will start your spring on the right step.